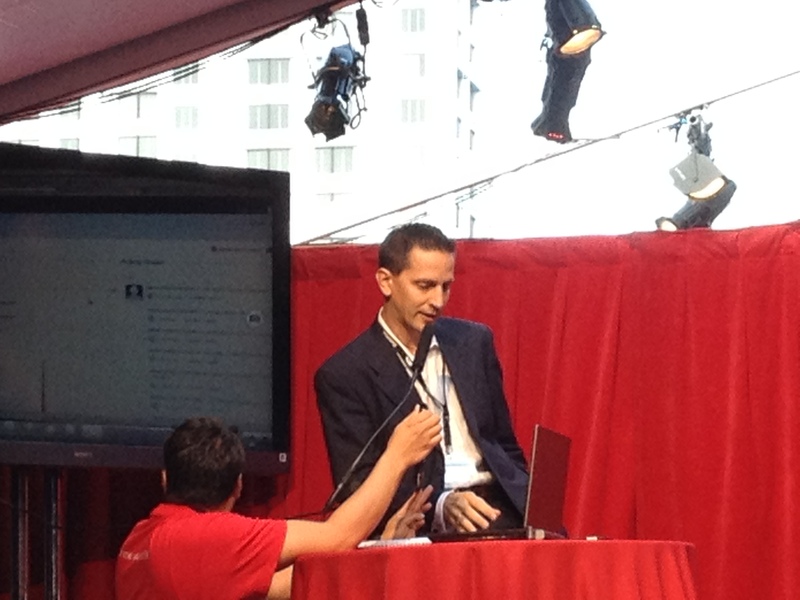 Oracle ran a Social Network Developer Challenge (a “hackathon”) at this year’s OpenWorld conference and TEAM was eager to join in. The goal of the challenge was “to build something that solves a business problem using Oracle Social Network, its Public API and another service or application”. We were able to put together a team on fairly short notice and, after batting a few ideas around, decided to pursue an integration with JIRA, an issue and project tracking tool used in-house at TEAM. After getting to know WebCenter Social, we saw immediate benefits that a JIRA integration could bring, primarily due to the fact that JIRA only allows assignment of an issue to one person at a time. Integrating Social would allow collaboration and issue resolution to happen right from the JIRA Issue interface. Integrating JIRA with Oracle Social Network and the Public API on the JIRA issue level. We use JIRA at TEAM constantly and while comments within JIRA are available, we often feel it would benefit us to be able to have more collaborative conversations with our peers on certain issues. OSN facilitates that collaboration and problem solving. We created a JIRA plugin using the Atlassian Plugin Framework to add a new tab to the issue interface. The tab, when activated, pings OSN using the Public API to determine if a Conversation exists for the issue. If no Conversation exists, an interface for creating a new Conversation is shown in the tab. When the interface is used to create a new Conversation for the issue, a call to the Public API is made to perform this task, assigning an External ID to the Conversation that is unique against the JIRA Issue (so the two are linked). Once a Conversation exists, the OSN Social Plugin is used to display the Conversation interface to enable collaboration. TEAM didn’t win the hackathon but with the time constraints of the competition we did pull off an impressive result. If you want to see the Challenge winner’s check them out here. 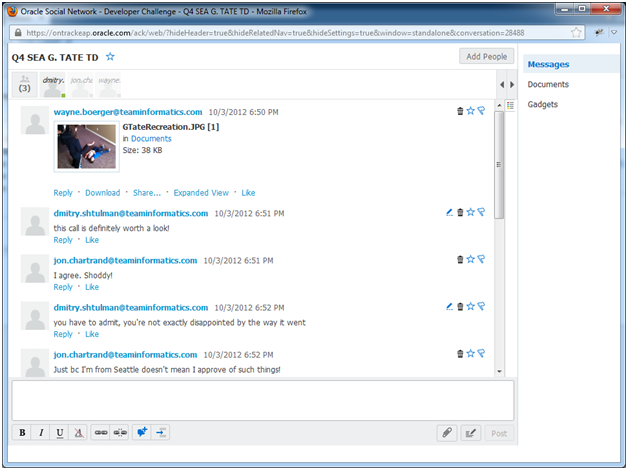 This entry was posted on Tuesday, October 9th, 2012 at 4:44 pm and is filed under Oracle, WebCenter Social. You can follow any responses to this entry through the RSS 2.0 feed. You can leave a response, or trackback from your own site.